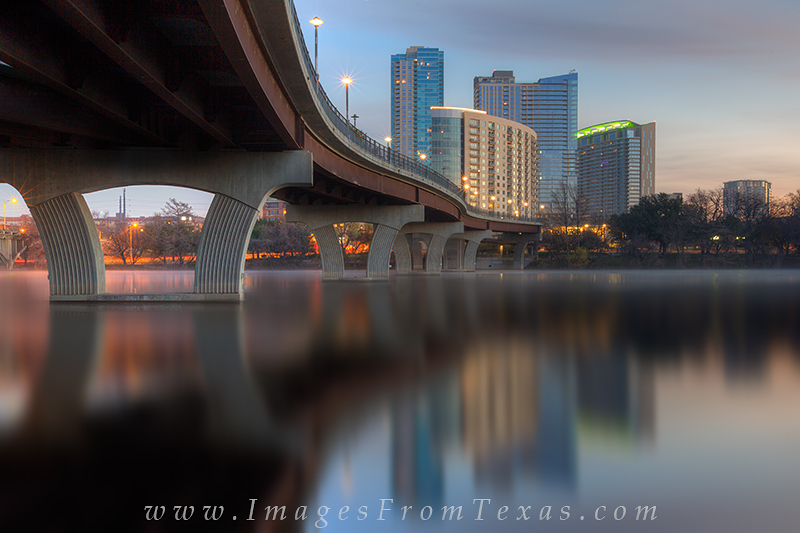 Well before sunrise, this long exposure captures the water beneath the Pedestrian Bridge that crosses Lady Bird Lake from Zilker Park to the downtown Area. In the distance, a few of the highrises of the Austin, Texas, skyline climb into the cool January air. A little after this image was taken, sunlight began to warm the water creating a dense laye of steam across the area. Photo © copyright by Rob Greebon.